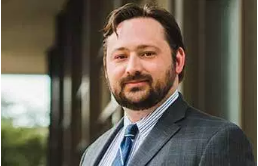 Seasoned attorney, Thomason B. Bush is a graduate of both the Texas Tech University School of Law and Texas Tech University Rawls College of Business. Prior to attending college, Thomason developed a passion for business law while working for his family’s various small businesses and seeing their entrepreneurial spirit. It is with that spirit in mind that Thomason founded the Law Offices of Thomason B. Bush, PLLC to assist local businesses with their legal needs. Thomason B. Bush is licensed by the State Bar of Texas and is admitted to practice before the United States District Courts in the Northern and Eastern Districts of Texas. Thomason brings experience and background in litigation skills that were developed locally and honed nationally while serving as counsel for clients facing diverse and complex issues.